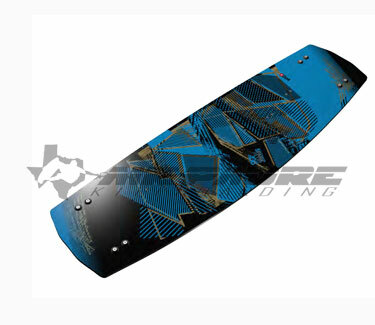 Air Padre was first a kiteboarding school, which has grown to offer lessons, rentals, and equipment in a wide range of watersports including: kiteboarding, surfing, kayaking, stand up paddleboarding, and wakeboarding at our storefront located in South Padre Island, Texas. We have put together this site to help future kiteboarders and watersports enthusiasts get involved in a safe and efficient manner. When you take kiteboarding lessons with Air Padre, the boat-support coupled with radio helmets consistently gives our students the leading edge when it comes to thorough and productive learning. If you go with a school that does not offer boat-support, be prepared to spend some of the lesson time walking back upwind. 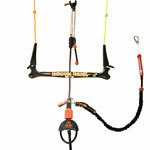 Air Padre only uses IKO and PASA certified instructors who are professional and courteous. Contact us at 956-299-9463 to book lessons or ask our staff any questions. Otherwise, please navigate the web site and find out what we offer! What is Kiteboarding or Kitesurfing? 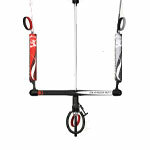 Kiteboarding or kitesurfing, if you don't already know, is like snowboarding or skateboarding on water. When you ride a board while being pulled behind a boat it's called wakeboarding. 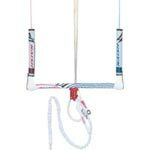 Now, instead of having someone else drive the boat, imagine having that power in your own hands in the form of a steady wind-powered kite. 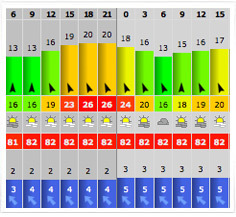 No need for a $50,000 boat and $100 gas everyday - once you buy your kiteboarding gear the wind is free! 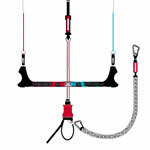 Many people use the words kiteboarding, kite boarding, kitesurfing, and kite surfing interchangeably. 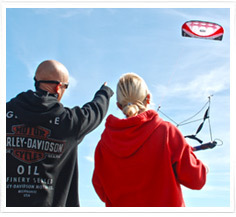 We generally refer to kiteboarding as flat water riding and kitesurfing as wave riding. 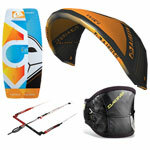 Learn more about what is kiteboarding? 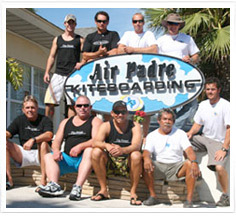 The Air Padre business started in 2003 as a kiteboard instruction center, and has since grown to encompass a wide range of adventure watersports lessons, rentals, and equipment. Air Padre’s ongoing devotion to customer satisfaction and enthusiasm to educating students continues to strengthen the business foundation, and in turn has created a solid base of cheerful patrons we love to call our customers! Our team of certified instructors and professional staff is always delighted to answer your questions by phone, email, or in person. Contact us between our normal business hours of 9am - 5pm, 7 days/week to speak with a team member regarding your upcoming visit. Lessons are the safest and easiest way to get involved with the many water sports Air Padre offers. Whether you are interested in kiteboarding, surfing, stand up paddleboarding, wakeboarding, or kayaking we have the qualified instructors that will teach you the right way. Lessons will save you a lot of time, hardships, and money in the long run. Air Padre is devoted to teaching you in a safe and efficient manner, so you can get out on the water enjoying the sport you love. Choose from private or group lessons in a variety of different sports here on South Padre Island. 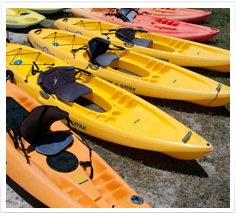 Learn more about what we offer for watersports lessons. 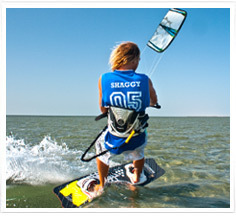 Watersports rentals are readily available for an array of sports here on South Padre. 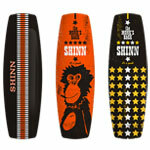 Take your pick from rental surfboards, skimboards, kayaks, kiteboards, SUPs, bikes and plenty more! So many great watersports are easily accessible here on the island due to the vast expanse of shallow water on the Laguna Madre on the west, and the entire Gulf of Mexico on the east shoreline. Rent watersports equipment by the day or week while here on vacation to take advantage of these resources and enjoy the sports you are experienced at. 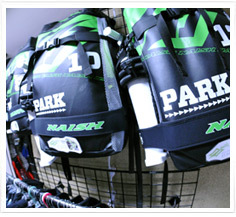 Check out the rentals page to learn more about our watersports rentals. 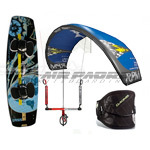 Services offered by Air Padre extend from kite repair to photo/video services during your down-wind sessions. Our dedicated kite repair sewing room allows us to fix kites, bars, bladders, canopy, and anything else that you manage to break while riding here in SPI. Additionally, our fleet of boats will gladly assist you and your friends on guided downwinders along the bayside to enjoy the best of what our beloved kiteboarding area. 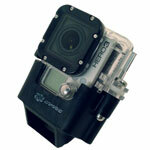 Tack on a professional photographer or videographer to capture the best moments so you can review later! 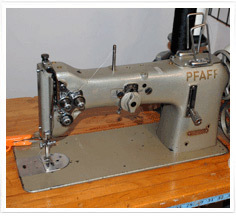 Learn more and see what Air Padre can benefit you by way of services offered. 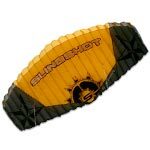 Kiteboarding equipment and other water sports gear is stocked and sold both in-store at Air Padre and on our online kitesurfing equipment store. 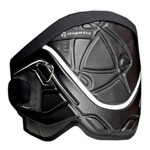 Or shop holds dealerships for many of the industry’s top sporting goods manufacturers. 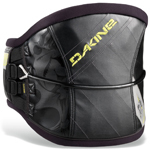 Dakine, Best, Naish, Wainman Hawaii, Ozone, Slingshot, MBS, Spleene, Hyperflex, and many other brands are stocked to provide you with the equipment that you need, when you need it. 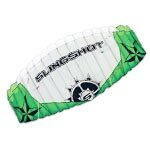 Stop into our physical shop on South Padre Island, Texas to have a look around, or take a peek at our online selection of kites, bars, harnesses, surfboards, kiteboards and accessories in the vast kitesurfing equipment store. 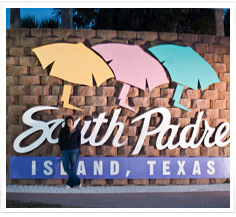 South Padre Island, Texas is where Air Padre was originally founded and stands today. Located in south Texas, the island is situated on the Gulf of Mexico only 10 miles north of the Mexican boarder. Padre Island is the longest barrier island in the world, running parallel along the Texas mainland for hundreds of miles. The City of South Padre Island is only about 5 miles long and houses roughly 5000 permanent residents, but sees large influxes in population during heavy tourist season such as Spring Break and summer. Besides a beautiful sub-tropical place to live, SPI also boasts some of the best wind and kiteboarding conditions in the nation and world! Find out more about the interesting and magnificent South Padre Island. Weather in South Padre Island is sup-tropical with warm air and water year round. Sunny skies and steady breezes make for an enjoyable climate no matter what month of the year you are here for. Boasting one of the windiest places in the nation, South Padre sees average wind speeds of 18mph throughout the year. This makes for a wind-enthusiast prime getaway, as well as a perfect location for other water activities such as fishing, water skiing, sailing, and more. S. Padre rarely sees much rain or storms outside of hurricane season as it sits along the Texas Gulf Coast. See our vast collection of graphs and charts for the current, forecasted, and historic weather in South Padre.